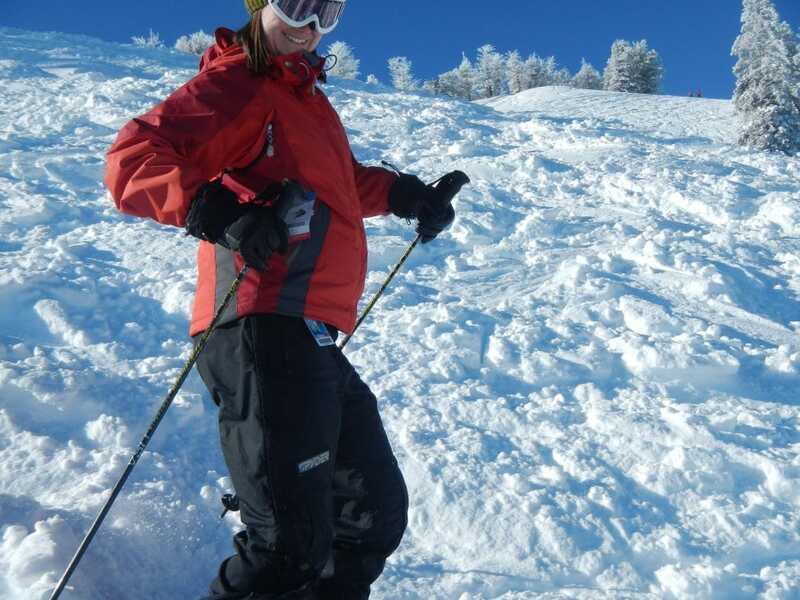 Skiing Pregnant – Yes you can!! 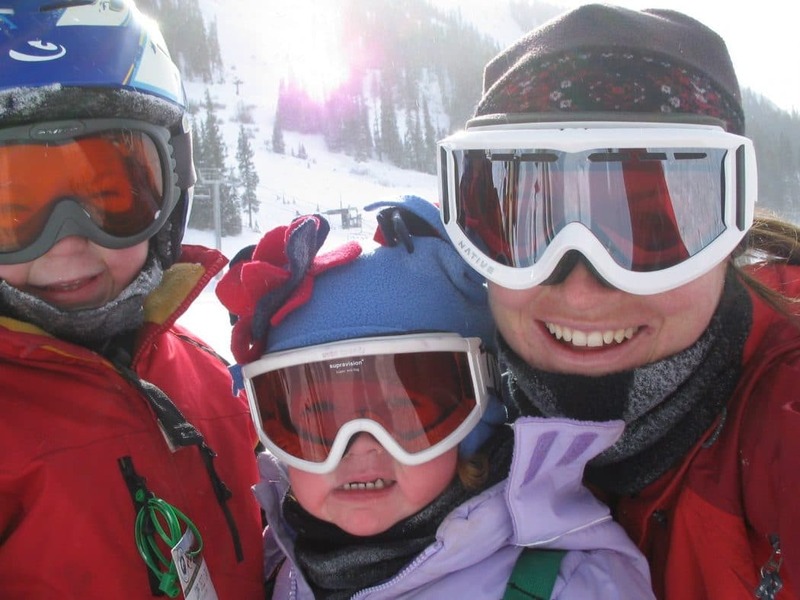 Skiing and snowboarding have quickly become one of the most controversial activities to engage in while pregnant. Regardless of who you ask, they’re sure to have some serious opinions on the topic. I, personally think that skiing pregnant is just fine, as are many other activities, as long as you’re smart and safe about it. Remember, we’re advocating for an “I CAN” attitude around here. While I was pregnant with #1, I was determined not to let my body be slowed down by pregnancy. However, the fact is that a pregnant body just doesn’t perform quite like it did 9-months ago. I was discouraged and hard on myself and wasn’t sure I would EVER be up to my normal level (thank you crazy pregnancy emotions). 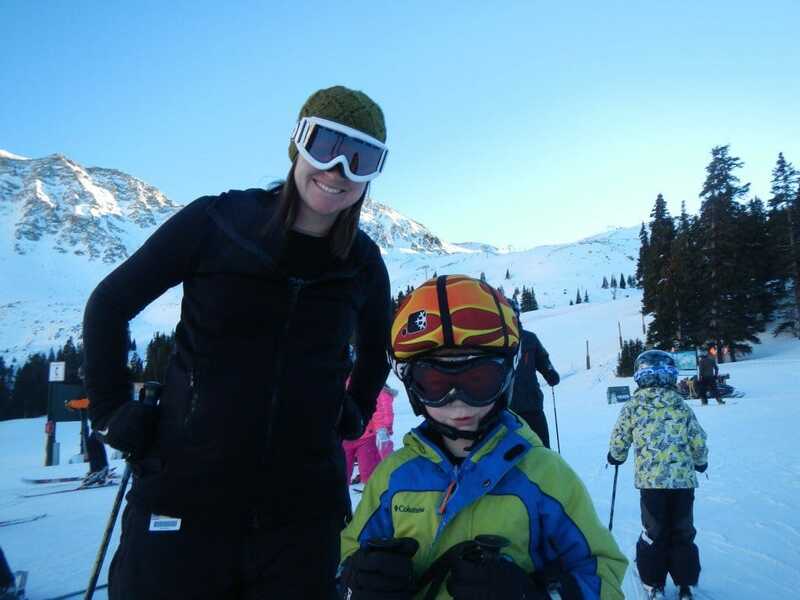 Of course, my body returned to normal after my son was born and so did my skiing skills. PHEW! With my subsequent pregnancies, I’ve learned to set realistic expectations for myself. I don’t ski pregnant to set any records, or prove anything to anyone. I ski pregnant because I simply LOVE TO SKI! I’m now almost 32 weeks pregnant with baby #4 and was out on this hill just a few days ago (and am planning on more days to come). Yes, I’ve slowed down. A lot of that has come with the fact that there are 3 kids and only 2 of us parents, so naturally someone has to go with the slower kids 🙂 However, a bigger part of that has come from knowing my body, my limits, and what I’m personally comfortable with. While your pregnant, your baby is kept protected by a cushion of amniotic fluid. While your skiing, your stance is also fairly balanced which doesn’t cause any unnecessary pressure or strain on your abdomen. Why all the fuss? If you fall hard skiing, it’s easy to quickly get injured, putting your baby at risk. First off, evaluate your skills. If you’re a beginning skier, skiing pregnant is probably not a good idea. If you’re an advanced intermediate or expert, your skills are likely high enough so you can ski safely. Decide how hard you’re comfortable skiing. 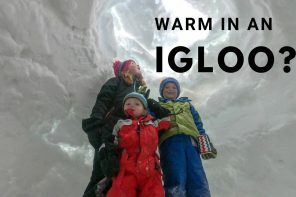 While it may not be a great idea to go all-out-crazy, that doesn’t mean that you need to ski like a whimp either. Set your limits before you hit the slopes so you know what you’re comfortable with before your fit non-pregnant ex-ski racing friends ask you to go for a run. Acclimate to the altitude. When you’re pregnant, altitude can have a much bigger effect on your body. Make sure you’re acclimatized if you don’t live in the mountains, so you can make sure you’re feeling your best when you hit the slopes. Avoid crowds. Although you can help prevent yourself from falling you have no impact on other skiers around you and their crashes, so just avoid them. Be confident. If you’re constantly on edge or nervous, it’s going to be reflected in how well you ski, so really just be confident and trust yourself. Know your body. Remember that no one else can know exactly what you’re feeling or how hard you can really push things but you. I generally follow the rule that if it feels good, I keep doing it – if things are uncomfortable or hurt (or my gut just says I shouldn’t) I stop. 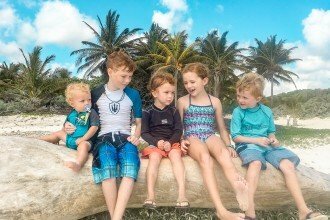 Do you have any tips that have helped you have an adventurous pregnancy? I loved skiing when I was pregnant. I took the easier routes but had a blast. I swear that DS loved it too… I could feel him shift back into my pelvis like he was getting ready to ride the hill. Whee! Love it. And you’re skiing the bumps! Go mama! Just love this post! My biggest problem was the fatigue… it can mentally difficult to think “I could do this non-stop before!” when your body might not let you go as hard while pregnant. There were a couple times I found myself at the top of a run, completely wiped out, and I knew I had to reevaluate how hard (and long) I pushed myself. For me, making sure I had enough energy to be able to completely control my body was my biggest safety concern! The only issue I have skiing later in pregnancy is keeping my snow pants up. Seriously need suspenders. I was out this weekend with my 2 year old. .. 26 weeks along. I love reading this website makes me feel so much better. I am 18 weeks today! Yesterday I did my last snow boarding session for the season! The first time I went I was 11 weeks and I was so nervous because you read so much about how it is a big NO NO not to go. But as the story above notes you have to assess your skills first and set your limits. I did just that and I went out two more times. Now I am not skilled enough to go when I get bigger that is why I am deciding to stop before I feel the shift in my balance, especially on a snow board. But I feel for my next pregnancy I will have a few more seasons under my belt and I will be able to board a little later on into pregnancy. Winters can be really long here (Up in Canada) so getting out at least a few times was so important for my mental health. Now I feel I can weather the next two months and be okay with being left on the bench. Oh that’s so awesome! I’m glad you are listening to your body and doing what best for you! You’re up for some great adventures with your little one! Planning this pregnancy, I definitely was NOT going to let myself be “very very pregnant” during ski season if I could help it — both for the fun factor, not wanting to battle icy roads/storms for labor, and because I wished to keep working on the mountain! I live in a popular ski town in VT and was cleared with basically no questions asked through my first trimester. My midwives offered gentle “be carefuls” for my second trimester. 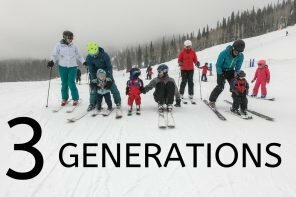 I ski every weekend, all day each day with a group of advanced 11 year old girls, and did a 9 day streak in December early-on (8 weeks) when my fatigue was at an all time high. Slept like a baby and still have abs to boot. So far it’s been wonderful. Cold fresh air did wonders for my nausea, and I ski frequently enough so that balance has been (so far) just a slow shift and not very noticeable. I am like a hawk for other skiers, and as an instructor I havea pretty well practiced eye and ear for that kind of thing — but honestly I feel most safe on diamonds/doubles because there aren’t as many idiots, and the speed is much slower! I plan to ski for the next four weekends at least bringing me to 24 weeks and just into third trimester. Not worth the risk. All it takes is one out of control snowboarder to knock you over, or one fall with a blow to the tummy,and you can lose the baby. It is not as uncommon as you might think. Also your ligaments are loose during pregnancy and your balance isn’t as good, so whilst you might be a competent skier normally, it’s a different ballgame when you’re pregnant. Whilst it may seem like a huge disaster missing one season, it’s really not the end of the world. You’ll be back on the slopes again next year. My partner and I are trying to get pregnant and one of our concerns is timing ski season! Haha. Anyway, it is really timing snowboard season for us! I am very very proficient and a controlled rider. I am curious about how much harder strapping in etc. 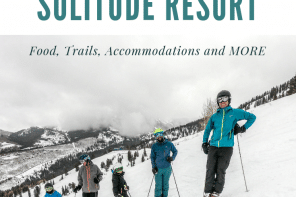 might be on a baby than skiing… obviously when farther along it would be tough, but are the general motions required for snowboarding any more “dangerous” than skiing? Any riders on here? And just to keep an age old debate going, I’ve never hit anyone on my snowboard or been hit by a snowboarder, but have gotten creamed by out of control skiers! 😉 Just poking fun. But any input would be appreciated. I used to ski and would consider switching back if it really is much safer/easier when pregnant. Thanks for this post! I am 23 weeks pregnant and just had a wonderful day on the slopes yesterday. I had people telling me I was crazy, but I felt confident and in control. 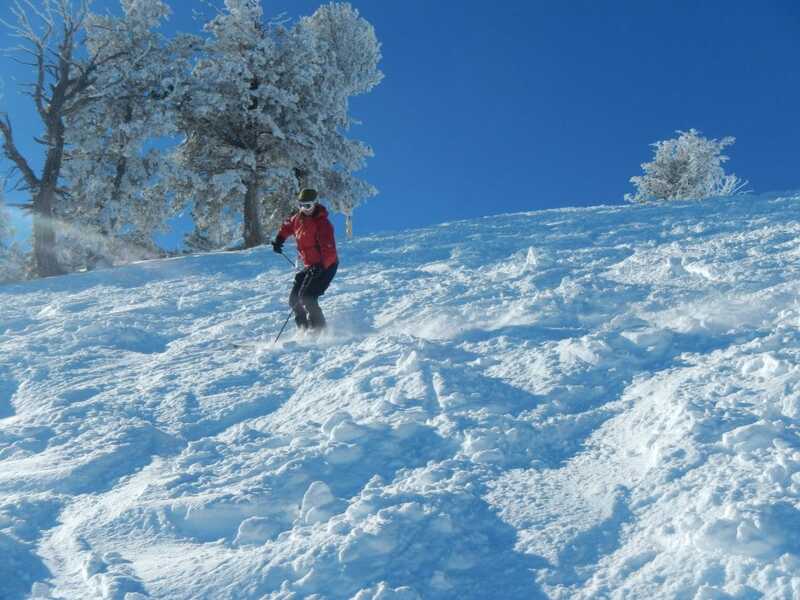 I love to snowboard and being out there was well worth it. As soon as the slopes started getting really crowded I stopped and watched people and that was just as fun. Thank you for making me feel better about my decision. I am an experienced snowboarder and besides getting tired quicker, I found myself maintaining my skills with being present.